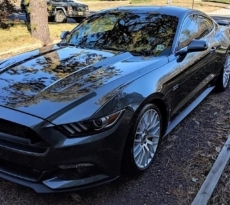 This Mustang of the Moment goes to M6G member NightParade (Justin) and his 2017 Mustang GT. 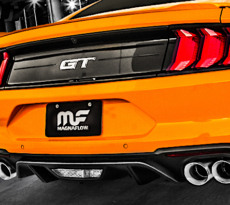 Justin’s performance packaged Magnetic 2017 Mustang GT is his second S550 Mustang, having previously owned a 2016 Mustang EcoBoost. 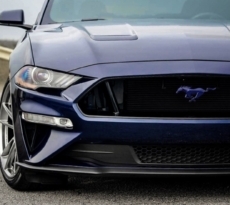 Luckily for him, most of the parts on his heavily modified EcoBoost Mustang were able to be transferred over to his new 5.0L. These included his Corbeau FX1 pro racing seats, AmericanMuscle rear seat delete, GT350 shift knob and start button, and a host of suspension parts including Stance super sport coilovers, Whiteline sway bars and end links, Steeda rear adjustable camber arms, Steeda solid diff bushing inserts, Steeda transmission mount bushing and BMR rear cradle lock kit. On the exterior, a few stand out parts that rounded out the look were the Roush heat extractors, APR carbon splitter, RTR side splitters, Steeda Q-Series spoiler and 57Transcend wheels made by RAYS Japan. 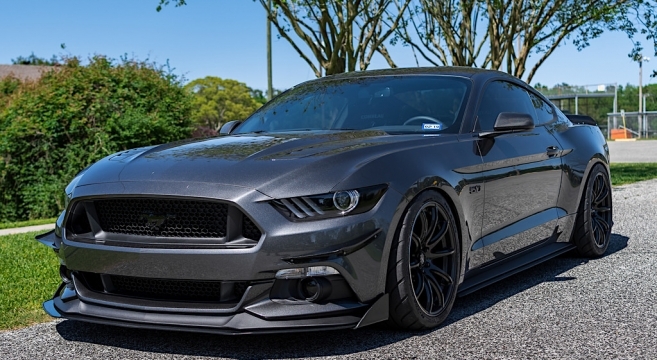 Check out Justin’s 2017 Mustang GT build journal for all the details.